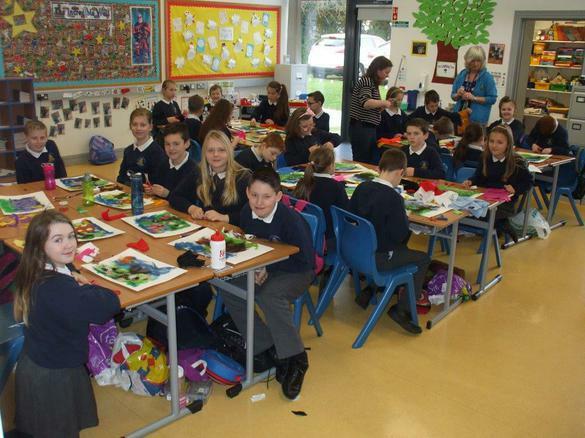 This week both P6 classes had the chance to extend their art skills, as they enjoyed a three hour textiles workshop in the classroom. 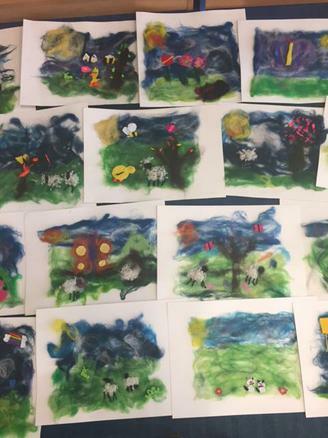 Under the instruction of specialist textiles teacher Naomi Whan, both the pupils and staff were amazed at both the simplicity and the effectiveness of this form of art. The pictures are amazing and everyone went home with a real sense of the achievement...if you are fortunate enough to receive one as a gift for Mother's Day, you won't be disappointed!